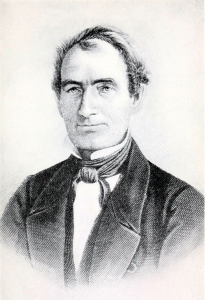 Born in England, Remington immigrated to the Utica, New York, area with his family in 1800. In 1816, young Remington fashioned his first flintlock at his blacksmith father’s forge. The gun greatly impressed neighbors, who ordered copies—and thus Remington found himself in the firearms business. He built his first factory in 1828, and the Remington company went on to become the principal firearms supplier to the U.S. military, through the Civil War in the 19th century and the two world wars of the 20th.